So much for “it’s only a play,” eh JK? It looks like Daniel Radcliffe’s professed willingness to play Harry Potter again might actually lead to something concrete – at least if there’s anything to read into trademarks. Warner Bros. have just filed for a new trademark for Harry Potter and The Cursed Child, and it’s specifically a Class 9 – the classification reserved for motion pictures. Try not to get over-excited at that. We know that the studio is currently well into its plans for Fantastic Beasts – which will be a trilogy kicking off when the first movie lands in cinemas in November. But that doesn’t mean they can’t plan ahead. If you think about it, waiting until after 2020 (or even a couple of years beyond that when Fantastic Beasts is over and done with) would make sense. Daniel Radcliffe would be beyond 30-years-old by then and having him playing an actual grown-up (without so much need for poor make-up) would be a better fit. Of course that doesn’t actually say that it wouldn’t be a film in the future, but her firmness will inevitably be picked up on. 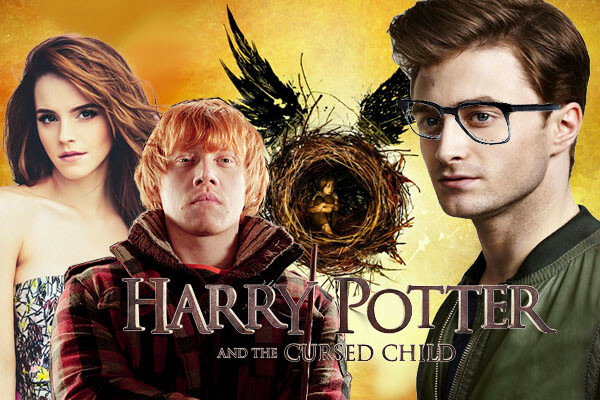 Fair play to Warner Bros and Rowling if this is indeed happening. The play is a truly great story and a great opportunity to bring the cast back without over-stretching. It’s also very cinematic, and it feels like the right progression, even if it wasn’t the original plan.